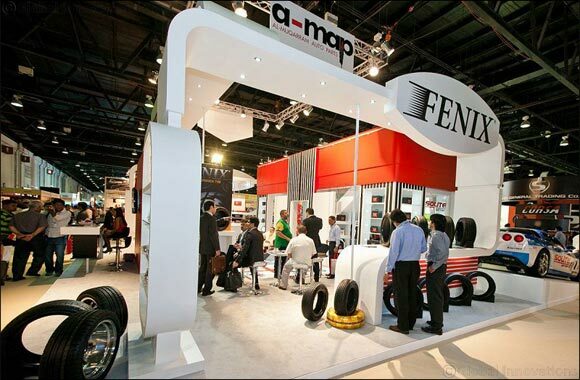 Dubai, UAE, April 07, 2019: The powerful European presence at this year’s Automechanika Dubai exhibition will have a big boost of turbo-charged Italian flair, with a host of companies from Italy revving their engines ahead of the Middle East and Africa’s largest automotive aftermarket trade fair. More than 1,800 exhibitors from 60-plus countries will partake in the 17th edition of Automechanika Dubai in June 2019, with more than 350 of that figure hailing from Europe. Italy, known worldwide for its reputation as a producer of high-end sports cars, is also a major aftermarket player, exporting US$15.3 billion worth of auto parts and components in 2018 according to data aggregator World’s Top Exports – 12 percent up on the previous year. The UAE is among the top ten markets for high quality and genuine Italian auto parts, and now major players are gearing up for more growth targeting trade buyers, distributors, and importers from throughout the wider Middle East, Africa, and Western Asia. The Italian presence at Automechanika Dubai 2019 highlights the Southern European country’s prominence, and when the three-day event opens from 10-12 June 2019 at the Dubai International Convention and Exhibition Centre, more than 70 Italian manufacturers will assume their positions across 1,000sqm of exhibition space. “The Middle East and Africa is a key developing market for European auto parts and accessories, which is why the presence of manufacturers from the Old Continent at Automechanika Dubai has always been strong,” said Mahmut Gazi Bilikozen, Show Director for Automechanika Dubai. Top Italian brands covering the entire spectrum of the aftermarket include AxxonOil, Brembo, Cofle, Dayco, Gamma Diesel, Magneti Marelli, Momo Tires, Technoparts, and Vipiemme, while UFI Filters, a leader in filtration technology and thermal management, is a returning exhibitor having debuted at the show in 2018. Luca Betti, Group Aftermarket Business Unit Director at UFI Filters, said the company will showcase its latest solutions in fluid filtration and thermal management, as well as launch its UFI Multitube. “UFI Multitube introduces a cutting-edge technology into the original equipment market for air filtration, firstly for Porsche GT2RS and soon for other high-volume applications, both Italian and international,” said Betti. Betti said UFL Filters – which recently opened a Dubai office to strengthen its customer service support – has high hopes in the Middle East market, based on the exhibitor’s previous experience at Automechanika Dubai: “Last year’s show was a premiere for UFI Filters Group and it was a very positive experience in terms of image, visitors and number of prospects. Brembo, regarded as the world leader and innovator for disc brake technology, is another returning Italian exhibitor to Automechanika Dubai in 2019 with its wide range of brake discs, brake pads, drums, brake fluid, and hydraulic components. Brembo’s Aftermarket Business Unit Marketing Director, Marco Moretti, said the company will also launch its Brembo Xtra pads, aimed at a buyer for whom driving is not only a need, but also a passion: “These pads enhance the advantages offered by Brembo Xtra drilled discs and Brembo Max slotted discs and are the ideal solution for car lovers who enjoy sports driving without sacrificing the comfort and durability during road usage. Meanwhile, Frescura and Euroricambi are other Italian companies eager to make a big impression at Automechanika Dubai 2019, with both preparing new product launches for the benefit of the thousands of visitors to the annual showpiece event. Andrea Frescura, Sales Manager at Frescura, said: “We’ll showcase our entire product range, including sprays, DIY products, detergents, foam shampoos and polishing for brush washing systems, waxes, tyre gloss, finishing products, de-waxes and seasonal products. Moreover we’ll have the chance to launch our new eco-friendly product line. Alberto Tinti, Sales and Logistics Director at Euroricambi, which produces gearbox and differential spare parts for trucks, buses, tractors and cars, added: “The Middle East and Africa together is among the most important regions for Euroricambi and we see great untapped potential, especially in Africa. The Italian Pavilion is one of seven European country pavilions at Automechanika Dubai 2019, with others coming from Germany, UK, Belgium, Spain, France, and Poland. A total of 23 country pavilions will be on show at the annual three-day event, further underlining its global appeal. Almost half of the entire European continent is covered this year, with other exhibiting countries coming from Austria, Bulgaria, Cyprus, Denmark, Finland, Greece, Hungary, Lithuania, Netherlands, Portugal, Romania, Russia, Serbia, Sweden, Switzerland, Turkey, and Ukraine. Automechanika Dubai covers the six product sections of Parts & Components; Electronics & Systems; Accessories & Customizing; Repair & Maintenance; Car Wash, Care & Reconditioning; and Tyres & Batteries. The 2019 edition will also feature four new sub-sections of Agricultural Parts & Equipment; Body & Paint; Motorcycle Parts & Components; and Oils & Lubricants. A key returning highlight is the Innovation Zone, a dedicated area at the centre of the show floor featuring presentations and product showcases that are steering the course for the regional and global automotive aftermarket. Other features include the Truck Competence initiative, where more than 1,500 exhibitors will showcase their products dedicated to the entire value chain in the truck sector, from truck parts and accessories, to workshop equipment, body repairs and care. The Automechanika Academy also returns, presenting a series of seminars, presentations, and workshops about key issues and regulations affecting the automotive aftermarket, along with IMI CPD workshop certifications.